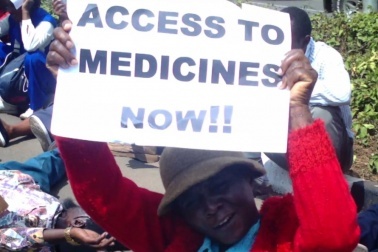 In a joint survey conducted by PHD Chamber of Commerce and Industry and 1mg Technologies on challenges faced by consumers while buying medicines from Pharmacies, it has been stressed that an overwhelming majority of patients seek more convenient ways to get their medicine. They face problem of visiting multiple pharmacies to get all their medicines and also notice price difference across pharmacies for the same drug. Releasing its findings, here on Tuesday, the two organizations say that 86.5% customers face the problem of visiting multiple pharmacies to get all their medicines whereas 92.2% people notice price difference across pharmacies for the same drug. It also highlights that 98% people like the convenience of door step delivery of the medicines. The survey also reveals that over 90% people wish to be informed in detail about the medicine they are taking and want to have detailed information on them such as for instance their exact use, interactions, potential side effects so on and so forth. In addition, it also highlights that 72.7% people prefer e-bills over normal paper as they wish to keep track of them in a convenient way. The survey also emphasizes E Pharmacy will significantly improve Consumer convenience and access. This will especially help chronic patients with nuclear families, and also patients who are not in a condition to go out to find a pharmacy. Moreover, a normal chemist shop can only keep limited inventory, resulting in a consumer having to ask multiple stores to get his or her medicine. In a representation submitted to the Drugs Controller General of India, the Chamber has highlighted that in e-pharmacy, order should be processed from a licensed premises only and be dispensed by a registered pharmacist in a licensed premise, adding that scheduled drugs be also sold off only against a valid prescription of a registered medical practitioner as per the Drug and Cosmetic Act. The Chamber has also pointed out that e- pharmacy should share the details of the licensed pharmacy fulfilling the order with the users using email and SMS. The Chamber and the 1MG.com are also of the view that Schedule X and other habit forming drugs should not be allowed to be sold through an e-pharmacy . There should be adequate checks and balances in place to prevent sale of any such drugs. The PHD Chamber has also emphasized that restrictions ought to be placed on illegal international trade through e-pharmacy since drugs are being shipped across the international borders without any prescription and approval from the concerned authorities.